This is this week's cover of Paris Match, the French equivalent of the United States' People magazine. 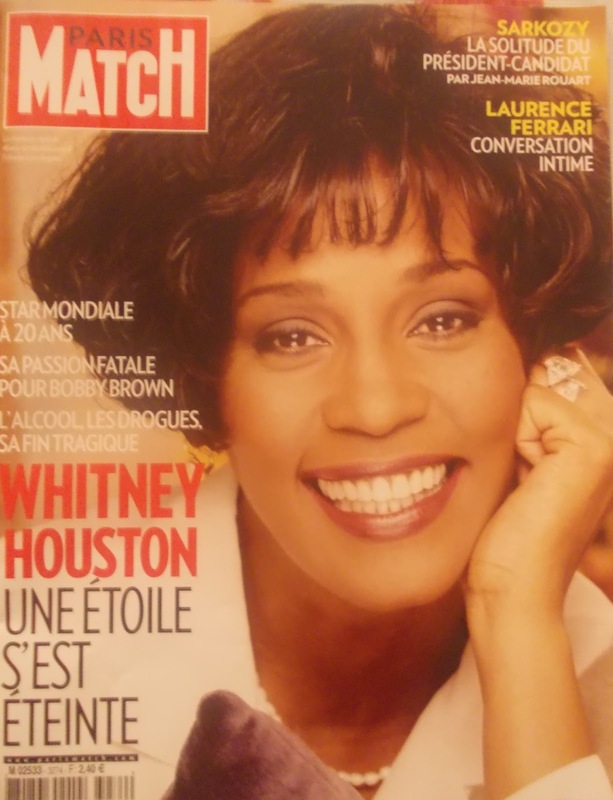 It's no surprise, considering Whitney Houston's enormous fame in this country. Her death was all over the news here as much as everywhere in the world. In the days after she died, we heard, "I Will Always Love You" so many times on the radio, as well as several of her other number one hits. The main headline, "Une Étoile s'est Éteinte," translates to "A Star is Extinguished."